You are on a first-of-its-kind travel site that focuses on first time visitors to Walt Disney World, gives exact instructions for the best possible first trip, and—more importantly—gives next best choices in order if these instructions can’t be followed. Every day, the Library of Congress adds more than 7,000 books, and more than 70 million new pages are published on the web. Sometimes, it seems as though every single one of these is about Walt Disney World! If you search Amazon for Walt Disney World, and limit the results to the “travel” category, you get more than 1,200 books; google Disney World and you’ll see more than 37 million hits. Making the right choices so that you have the best possible experience is tremendously difficult and complicated. This site takes the complexity and difficulty out. As David Weinberger says in his wonderful book Everything Is Miscellaneous, “the solution to the overabundance of information is more information”–particularly when it is specific, targeted, and precise. This site provides specific, targeted and precise answers to all the key questions you will face in designing the best possible first family visit to Walt Disney World. 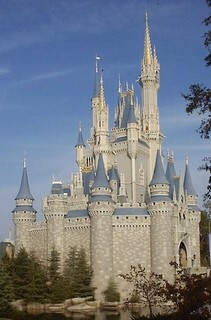 …And who are unwilling, or unable, to pore over the wonderful, but lengthy and detailed guidebooks to and comprehensive websites about Walt Disney World to capture and evaluate the information required to make their first, and possibly only, family trip to Walt Disney World the best it can be. Based on this intended audience, this site provides the answers to all the key questions involved in putting together the best possible Walt Disney World experience. Moreover, for those who can’t follow these exact instructions, it provides “Next Best” answers. I am based in Tanzania and I would like to take my 6 year old son to disneyland this year. It would be our first time to the USA and to disney world. I would like to stay at a place where the parks are accessible by just walking a few minutes so that i can cover as much as possible. Can you recommend no of days to spend at disney ( minus travelling time), best hotels and best time to come? Hi Robi, do you mean Disneyland, in California, or Disney World, in Florida? If Disneyland, you want the Grand Californian hotel. Hi, it appears we ave picked the one of the worst weeks to go to Disney Florida, 19/3/2013-26th. We are flying in from Africa and meeting up with family, odd dates are due to restricted flights leaving Angola. We have 2 girls, 4&7. This was a last minute vacation, do you suggest we follow the itinerary just modifying based on our arrival time. We are not staying in the park, and I see from reviewing the site that meals will be costly. Any suggestions to make this as worthwhile as possible? Trish, in modifying the itinerary, do note in it that e.g. “Saturday” means Saturday, not “Day 1.” Also it’s designed for people staying in a WDW resort–especially the Friday plans. SO you might want to do Epcot on a different day than Friday. But follow the principles it embodies–show up at the turnstiles before the park opens, see the most popular rides first, use FASTPASSES–and you’ll be OK.
Hi, my family will be traveling to Disneyworld for a cheer competition at the end of this week. We are booked at the ESPN sports resort and have the park hopper passes. We are already on an extremely tight budget so any tips on how to eat cheap would be helpful, as well as what attractions we should do first? My kids ages are 17, 13, 9 and 7. Hope to hear from you soon. I will be visiting with the fam for the first time (husband, 4yo, 2yo) Oct 12-19 2013. We want to do MK twice; HW, Epcot and SeaWorld once while there. Should wewait till later in the week because of Columbus Day to to any parks. What would be the best option for Sun/Mon with least crowds. Thank You!!!! Hi Alicia! Sundays and Mondays are always crowded, and will be more so over Columbus Day weekend. The best day at MK will be Friday the 18th, then Thursday the 17th. The 19th would be a good choice for Sea World. Hi – Firstly, thanks for this great site! It’s been very informative. We are tentatively planning a trip for October 25 -Nov 1 of 2014 with me, my husband and our 2 kids. Our daughter will be 8 and my son will have just turned 5. We are going with my favorite aunt, her grown kids and their spouses (who will be celebrating their 5 and 10 year wedding anniversaries). My cousins have no kids and they have all been to Disney many times. I suspect that my aunt wants us to join them because she wants to see our kids experience Disney (my mom is dead so she sort of takes on the role of grandma). She has some mobility and health issues, so we hesitate wait until our son is a bit older. We are on a much, much tighter budget than the rest of my family. To save money I am considering the following: 1 -staying for a shorter period of time than the rest of the family (5 or 6 days) and focusing on things more age-appropriate for our kids rather than trying to get in the “whole Disney experience”. 2 – staying at a value resort or the Swan/Dolphin rather than the moderately priced Port Orleans Riverside, where the rest of the family is staying. We do not know if this is our only trip to WDW. I look forward to your suggestions and advice. Thanks! In general, you will save more by staying in a value resort than by shortening your trip or staying at the Swan/Dolphin. There’s three price bands among the standard rooms in the values. The lowest prices are among the All-Stars, and of those I recommend All-Star Movies. Has anyone ever purchased Disney gift cards at Target (saving 5%) and used them when booking? We are planning on going mid October..I know the food and wine festival is going on during then. How busy are the rest of the parks during that time? Or is just mainly Epcot that is super busy? Hi! My husband and I plan on taking my daughter to Disney world for a week for her 7th birthday next year (late feb into march)It will be the first time any of us have been to Disney! We are sooooooo excited! Is that typically a very slow time? and do they usually have pretty good room rates? Hi Meaghan, sorry it’s taken me so long to respond–I’ve been off at my son’s wedding. See this for how that week shapes up overall. You’ll note that crowds are OK and room rates are about average.